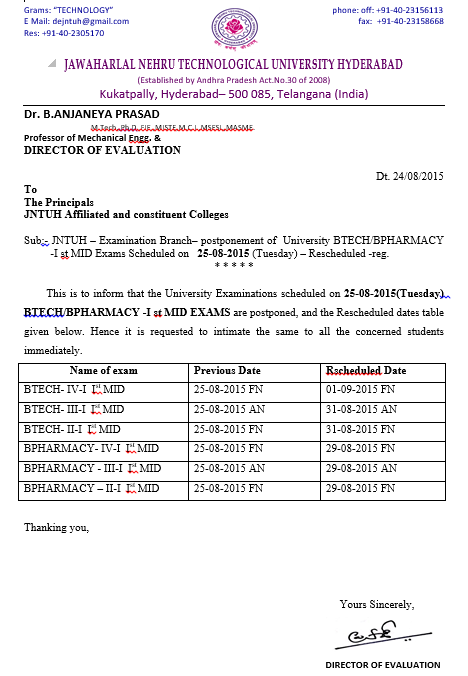 JNTU Hyderabad Exams Scheduled on 25-08-2015 are Postponed Due to ABVP Bandh and Revised dates given below. 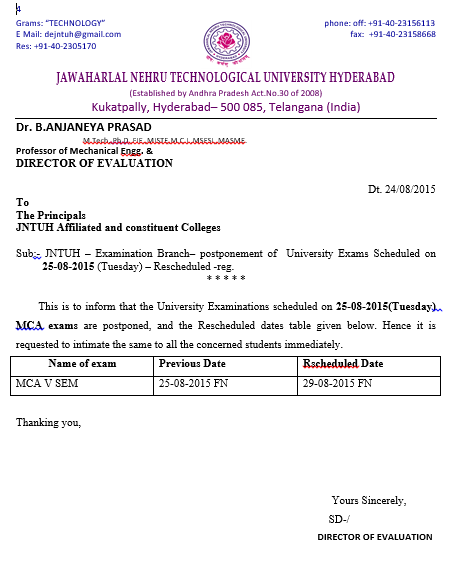 Jntu Hyderabad University Exams Scheduled to be on 25-08-2015 are Postponed Due to Bandh call by ABVP For All Educational Institutes. 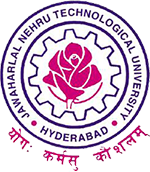 JNTU Hyderabad Released the Notification.